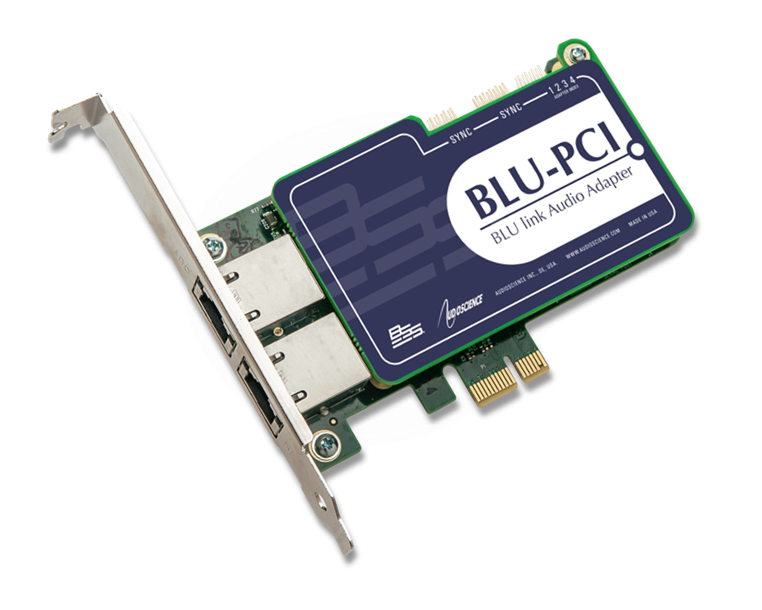 The BLU-PCI is a professional PCI-Express sound card designed for Harman BLU link network audio systems. Providing 32 or 64 channels of BLU Link audio for both playback and record. The half-height PCI Express card format allows use in 2U servers facilitating increased density for high channel count audio applications.